I don't think banks give back money during a dispute though. It's why you (general you) don't want to use a debit card or if you're a victim of identity theft where someone goes to your bank and empties your account, you have to wait for the fraud people to get your money back. That's why it's better to use a credit card online. If the number gets stolen, you're not out any money during a dispute. I'm in the US though, so maybe things work differently in other countries. I just noticed clients stopped responding on my proposals. 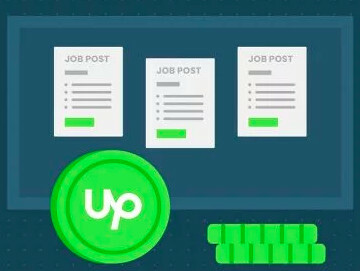 It was very suspicious as I'm #1 in Upwork's rating in my field, so people respond to me a lot (i. e. my "you were interviewed" stat was at 100% for a while). 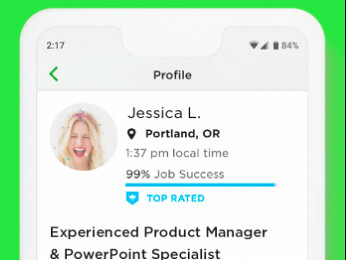 First, I've noticed "you were hired" and "you were viewed" dropped and it was strange but I found out "your profile was discovered" was at zero. I could explain a slight drop due to the negative review but it could not drop as much. My theory is that I was shadow banned (or something along those lines). You might have missed this thread. You're not shadowbanned or anything of the sort, it is a bug that makes the stat show 0 - we are all "flatlining" on that graph, so unless we are all shadowbanned, this is not one of your issues. I would suggest you keep fighting the JSS drop as the client is suspended and fraudulent, so if you are sure that this is the contract that caused the drop, push for it to be excluded. That said, your JSS is 95%, which is high. 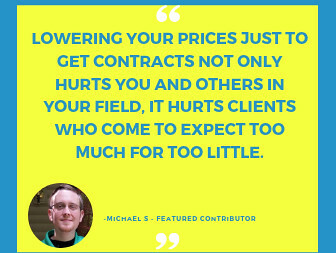 Concentrate on closing a few contracts (maybe go for a few smaller ones that complete quickly) to push the feedback down the page. In 3 months the thing will fall out of your 6 month window and be just a bad memory.